The USS R-12 is an extreme scuba diving Key West spot that's filled with the horror of naval tragedy. 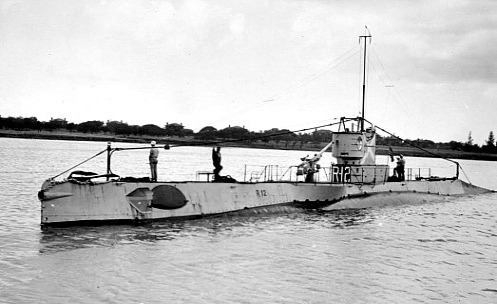 Originally launched in 1919, this 186.2 foot long submarine had an 18 foot beam and was developed to be a larger version of the "O" Class sub. The R-12 was outfitted with four 21 inch torpedo tubes, and one 3 inch 50 caliber deck gun. She was also equipped with a 1,200 hp diesel engine which gave her a surface running speed of 13.5 knots, and a submerged speed of 10.5 knots. Over the years she patrolled the seas, performing numerous exercises until December, 1932 when she was decommissioned and joined the Reserve Fleet. In 1940, during WW II she was reactivated and once again served her country in different capacities. In 1943 she began the final leg of her career as a training vessel for submariners operating out of Key West. It's the events surrounding her sinking that make this artificial reef such an interesting mystery. Unlike so many of the other Florida Keys shipwrecks, she was not purposefully sunk. For inexplicable reasons, still waiting to be revealed, this submarine quickly sank in 15 seconds to a depth of 600 feet. The date was June 12, 1943. According to records the R-12 was off Key West FL, and was preparing for a torpedo practice run when her collision alarm sounded. Reports indicate that her forward battery compartment was flooding and this information was passed to the Commanding Officer and other personnel on the bridge. Immediately instructions were given to blow her main ballast and close the hatches, but before anything could be done to prevent disaster, she sank in 15 swift seconds. Out of the crew members on board, 42 died, including 2 Brazilian navy officers and 13 trainees. The CO, another officer and 3 enlisted men who were also on the bridge, were the only survivors. On May 25, 2011, her deep underwater location was discovered by Tim Taylor and his vessel, the RV Tiburon. Using an underwater robot they've been able to successfully capture pictures of her lying on the ocean floor. The RV Tiburon is also collecting data which is being shared with the Navy in an effort to solve the mystery of the R-12's sudden and terrible death dive. Very few people scuba diving in Florida Keys will ever dare to explore the dark depths where this sub lies. The concern of nitrogen narcosis is very real and technical divers need to be aware of the warning signs. Obviously wreck diving with others will be an additional safeguard, but at 600 feet, you and the other technical divers else must be in superb shape. You'll also need to have technical scuba dive certification with the most advanced diving skills and certainly have a good understanding of mixed gases. Diving in Key West at this depth, you'll usually breathe heliox which is a blend of helium and oxygen, while others favor trimix, a helium, oxygen and nitrogen blend. Both of these mixed gases have their drawbacks and side affects on a tec diver. Taking this into consideration you then need to consider other important and critical technical diving facts. The water surrounding the USS R-12 will be icy cold and the currents will be very strong. There is no opportunity for penetration and there's very little marine life to observe. 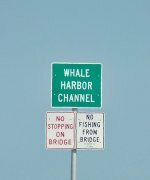 Unless you're a die hard scuba diving Florida Keys thrill seeker, you need to seriously consider in advance, whether this Key West diving site is right for you.